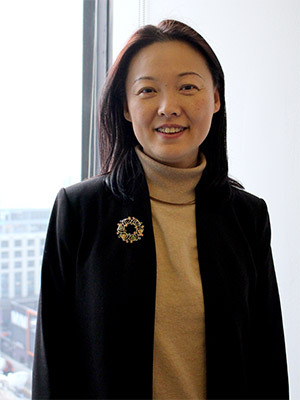 Professor Elaine Yi Lu, in the Department of Public Management, was just named the Dr. Julia Juanita Henderson International Award recipient from the American Society for Public Administration, and her new book Public Performance Budgeting was published this past December. To learn more about the research that Lu has been conducting, we sat down with her and dove into the background, the cases, the pros, and the cons of performance budgeting. Q. What is performance budgeting? A. In general, performance budgeting is about bringing program performance to the same table where resource allocation decisions are being made. When you are doing performance budgeting, you are not only looking at the numbers, but also goal setting and how the goals and performances are assessed and managed. Historically, budgeting and performance have been two parallel lines that don’t intersect. Performance budgeting is basically saying, let's add a performance element to the budgeting conversation. They can then talk in such a way that they have twisted DNA lines, and performance information can inform budgeting decisions. A. Imagine if a government agency asked a community if they needed a park. Undoubtedly, 99 percent of the people would say “yes” to a park. Then you inform the community how much the park is going to cost—the investment—and it's going to make people pause. Then you bring a different set of questions—the performance—by saying how many people visited the surrounding parks the previous year. That’s when people are going to ask if they need another one. With each layer of information coming in, the dynamics of the conversation changes. The beauty of performance-informed budgeting lies in the questions it asks. Q. What are the advantages of performance budgeting? A. The biggest advantage when compared to traditional budgeting is that it emphasizes the purpose of the government. The purpose of the government is not to use the public's financial resources. Their purpose is to advance public interest using those resources. We get so caught up with how much money one department might have compared to another that we forget the purpose. It's not just to spend funds, it's to achieve the public's interest. We need to focus on achievements, desired outcomes, and how those outcomes come about. Q. What are the disadvantages of performance budgeting? A. When you have tight performance management, it can trigger people to under or over report performance data just to make it look better. Another downside is goal displacement. Because you have “Goal A” highlighted, and people become driven to meet this goal, they can lose sight of “Goal B” or “Goal C.” Also, performance budgeting has never been about the direct relationship between the performance and the budgeting. People assume that if they perform well, that they'll get more money, but this is not performance budgeting. In the public setting, if you perform well with 30 percent of your budget, then it actually shows that you don't need 40 percent. And, if you perform poorly, what really needs to happen is a conversation about why this is happening, which might be because of a lack of funding. Q. How would you say performance budgeting affects the criminal justice system? A. I think the remarkable shift of youth correction from confinement to community-based alternatives provides a good example of how performance might be linked with budgets over time. If we look at the past 25 years and the evolution of juvenile justice—which is the agency that we studied primarily in our book—back in the 1980s and early 1990s, these were the decades in which juvenile justice faced tremendous challenges, and a lot of people attributed those challenges to several factors, one of which is that the number of credible scientific studies documenting the effectiveness of juvenile justice intervention was sparse, at best. They didn't have data to look at performance. A more recent report showed that actually changed with the passing of Government Performance and Results Act of 1993. This was a huge act in the performance field. This act said that you had to show the results. One of the examples that we noticed was that right after this act passed, the juvenile justice field established what they called a Juvenile Justice and Delinquency Prevention Act of 2002. This focused on the outcomes on the state of juvenile justice programs funded by the federal government. With the focus on the performance, people began to think about how they were doing with juvenile justice. The outcomes were horrifying. A large number of studies showed that confining youth in secure facilities too often has a severe and lasting impact on their development. Then people started looking at the budgets. One of the reports done from the CUNY Graduate School of Journalism found that in 2010, New York State spent $266,000 per adult use. California spends about $271,000. They're realizing that they are spending huge amounts of money, and the outcome is nowhere near what we are trying to achieve. Because of the information coming in, people began looking into the movement of youth corrections and what the next step was. This explains what we are seeing right now with the community-based alternatives. Performance management and budgeting helped move the discussion forward on alternatives for court-involved young people. Q: You just won the Dr. Julia Juanita Henderson International Award from the Section on Women in Public Administration (SWPA) of the American Society for Public Administration (ASPA). Can you tell us what that award means to you? A. I think the intent of this award is to recognize a person who has done work for public administration—particularly internationally—that can inspire then next generation of women scholars. For me to be presented with this means a lot. I’ve tried to do as much as I could over my 18-year career, but I never thought I would get an award. I try to help junior faculty when I can, organize international conferences, do international panels with organizations, and do international work for John Jay. One thing that has helped me throughout my career is thinking about Theodore Roosevelt. He said "Do what you can, with what you have, where you are." That’s how I try to live my life. Even when I was a junior faculty—and I would question how I could contribute—I thought about this and realized that I could participate in the classroom, with community projects, funding the projects, and with research. I found that these little things build up and mean a lot. Listen to the entire interview with Professor Elaine Yi Lu here.